The USD is the strongest. The NZDUSD is the biggest mover. 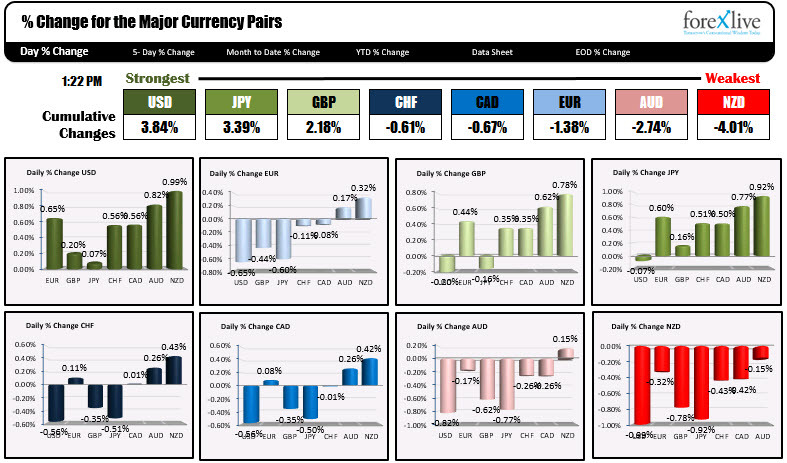 The USD is near extremes (higher USD) vs all the major currencies. 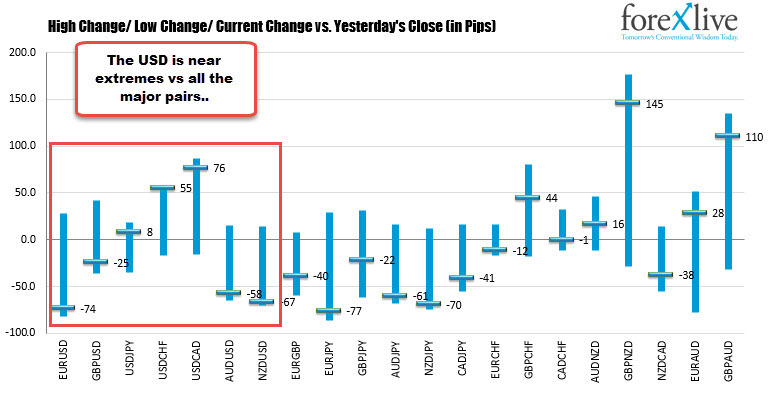 The biggest pip changes are 74 and 76 pips vs the EUR and the CAD. The NZDUSD is the largest % changer on the day. It has moved 0.99% on the day. 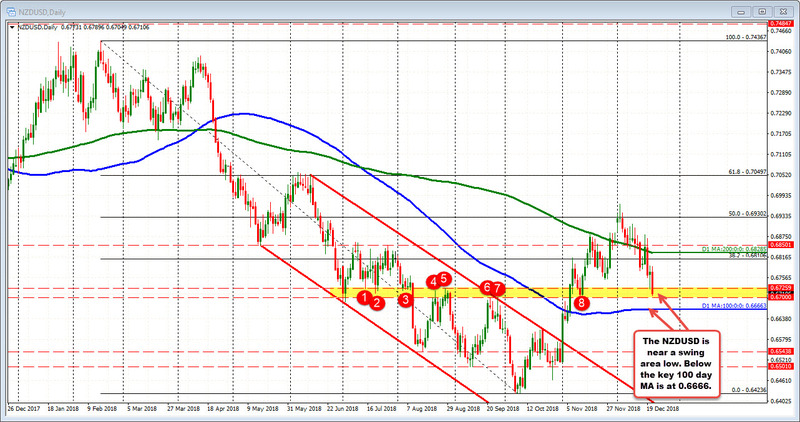 Looking at the NZDUSD, the pair is trading in a swing area on the daily going back to July at 0.6700-25. The 100 day MA is lower at 0.6666. The rise in the dollar comes even though rates are lower on the day across the yield curve. Then again stocks are getting hit again with the Nasdaq down -1.75%. The S&P is down -0.78%. So yields lower, stocks down = flight to safety of the USD? I guess. What about gold? It's down. No flight safety there (down -$5.44) but it is reacting to the higher dollar. The other thing to remember, it is Friday and there is threat of a shutdown over the weekend and it is triple witching today. Anything goes.